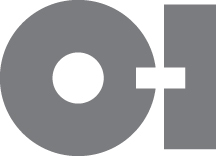 PERRYSBURG, Ohio (Sep. 4, 2018) - Owens-Illinois, Inc. (NYSE: OI) today announced that the Company will participate in the Credit Suisse 31st Annual Basic Materials Conference on Wednesday, Sep. 12, 2018, in New York, NY. O-I Chief Executive Officer Andres Lopez and Chief Financial Officer Jan Bertsch will present at 10:00 a.m. ET.